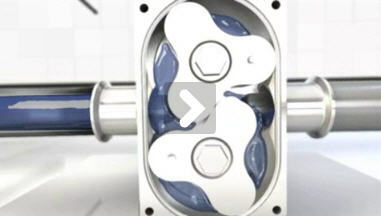 The OptiLobe is an optimized rotary lobe pump that is a cost-effective alternative to Alfa Laval SRU and SX rotary lobe pumps. 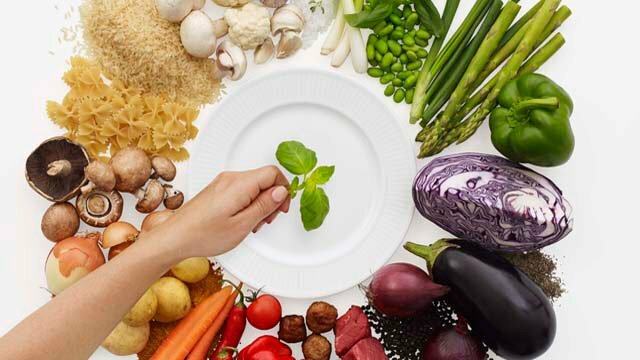 Designed for standard duties within the food, dairy and beverage industries. 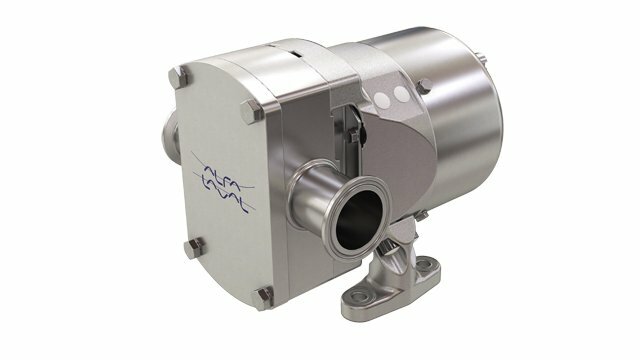 Simplicity of installation, operation and maintenance are hallmarks of the OptiLobe, Alfa Laval’s basic rotary lobe pump. Universal mounting with inlet and outlet ports in vertical or horizontal position makes installation very simple. Operation is just as straightforward and reliable thanks to the robust gearbox construction. Fully interchangeable front-loading seals provide fast access for inspection or replacement without pipe work disassembly. The OptiLobe offers reliable fluid transfer and gentle product handlingin combination with low pulsation, low shear and low noise characteristics. The pump is suitable for most general application as well as for Cleaning-in-Place. The OptiLobe not only reduces your initial capital investment but also reduces total cost of ownership. The simple, robust low maintenance design provides quick return on investment. The OptiLobe features a robust gearbox construction with heavy-duty shafts, torque locking assemblies and taper roller bearings throughout. This delivers reliable operation and reduces maintenance. A gear train in the pump gearbox drives the rotors and provides accurate synchronization of the tri-lobe rotors. The movement of the counter rotating rotors creates a partial vacuum that allows atmospheric pressure or other external pressures to force fluid into the pump chamber. As the rotors revolve, an expanding cavity forms, filling with fluid. As the blades disengage, each dwell forms a cavity. As the rotor blades engage, the cavity diminishes and fluid is, displaced into the outlet port. Alfa Laval rotary lobe pumps are positive displacement pumps with rotor case, rotor case cover, rotors, rotor nuts, shafts, gearbox and shaft seals and elastomers. The pumps operate with no internal contacting parts in the pump head. The OptiLobe can be supplied either as a bare shaft pump or mounted on a base plate complete with coupling, guard, gear motor and shroud for easy plug-and-play installation. The standard materials of construction are 316L stainless steel for all wetted parts, all stainless steel exterior and EPDM for all product-wetted elastomers. EasyFit shaft seals are fully front loading and fully interchangeable. In addition, Alfa Laval manufactures all pump parts, including the rotor case and high-precision rotors. This facilitates maintenance and results in full interchange ability of spare parts. OptiLobe rotary lobe pumps are available with six different pump head displacements based upon 3 different gearbox modules., flow rates up to 48 m3/h, differential pressures up to 8 bar, temperatures up to 130°C and port sizes from 40 to 80 mm in diameter.